Times have been good for home owners and buy to let landlords in recent years. With the seasonal holidays out of the way, the new year brings with it a series of new opportunities and potential challenges. Those of us who own homes to let are in for an interesting year. 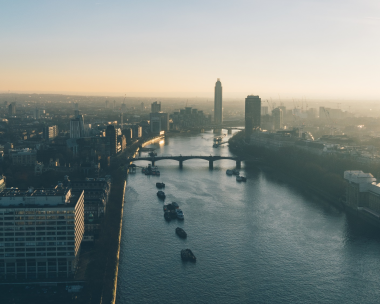 Factors such as Brexit will likely start to impact the number of international students entering London and the wider UK economy who are looking to rent properties. The three per cent hike on stamp duty – alongside other measures levied against buy-to-let investors might also knock some of the wind out of the market. That said, it’s likely that a healthy demand for buy-to-let property will remain. This is especially the case in London – and particularly in core property areas like south west London. Whether you own ten houses or just one, mortgage borrowers are now being urged to re-examine their existing deals. This should encourage homeowners who up until now have only been wondering whether they should look into remortgaging or not. In Q3 2016, there was an increase in successful remortgage applications compared to Q2. 80% up from 77%. The low interest rates available to home owners are a key factor in this growth in interest. Prices in London will always be ahead of the rest of the country, and prices in London are expected to grow by up to 2-5%. While this does demonstrate growth, it’s not as rapid as in the past couple of years. In fact, the rate of growth is the slowest it’s been in three years. This makes 2017 a fantastic time to buy as while house prices will still be rising, they won’t be rising as sharply as they have been. This slower pace of inflation means this could be the opportune time for those looking to purchase their next home. In 2014, the Guardian published a piece about how there has been a decrease in people turning to banks to purchase their homes. Instead, they are turning to brokers, with just over 60% of home loans now taken out through a broker. Some industry experts predict that by 2020, this will account for the preferred route for three-quarters of borrowers. If we’re right, 2017 is going to be busy. With remortgaging and new mortgages both on the increase, 2017 is set to be a year of investment – regardless of what the economic or political challenges will be. When you lead a busy life, it can be difficult to pay full attention to the market, and if you’re looking to make sure you make the right decision on your sale or purchase get in touch with one of our advisors today. All it takes is one phone call and then you can rest assured that we will organise the rest for you. Get in touch today on 020 3553 9340 or email us at info@imcfs.co.uk.